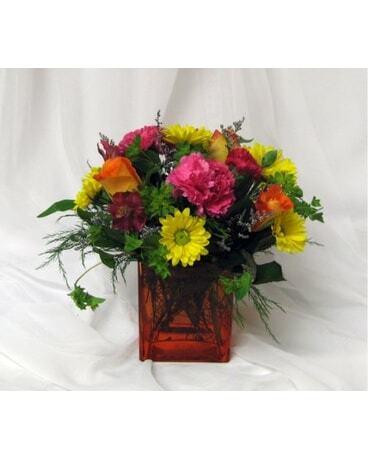 This colorful arrangement includes hot pink carnations, orange roses, yellow daisys, mini carnations, and alstromaria in an orange cube vase. Approx. 10in x 10in.